Neil accuses Avni for filling poison in Mogli’s mind against him. He gets too furious on Avni. Avni and Neil fight for the child custody in court, but don’t reach any result. Avni wishes to settle the matter out of court. She tries hard to convince Neil to share the custody rights, than snatching Mogli from her forever. She is sure that Mogli won’t be happy without her. Mogli clears out to Neil that he wishes to stay with his mother. Avni gets suspicious by too many adoptions happening at the orphanage. She takes time to think over the matter. Kamini makes a plan to divert Avni. She asks her lawyer to kidnap Mogli so that Avni can lose her focus. She makes a plan to destroy Avni. She wants to take revenge from Avni and Saisha for controlling KK’s life. Kamini fails in her plan to kidnap Mogli. She is involved in child trafficking. 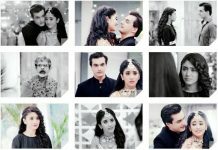 Avni then learns about Kamini’s conspiracy behind the adoptions. She seeks Mitali’s help by filing a complaint against Kamini. Mitali helps out Avni in finding the adopted children who went missing soon after the adoption. Kamini gets targeted by Avni. Avni exposes her crimes and gets her arrested by police. Mitali puts Kamini behind the bars. Avni gets relieved to save the innocent kids from the trafficking racket. Neil and Avni meet in the court for Mogli’s custody again. Avni fails to prove herself that she can give a better upbringing to Mogli. Neil’s lawyer assures him that they will win. Neil’s lawyer starts questioning on Avni’s character to weaken her stance in the case. Avni gets humiliated in the court for her wrong decisions taken in life. Neil’s lawyer questions her upbringing. Neil loses his cool when he finds himself fighting with her own love. Will Neil realize his mistake and forgive Avni over the past sorrow? Keep reading.